All of us will be called on to set boundaries in the course of our lives, especially in romantic relationships, with family, work, and friends. 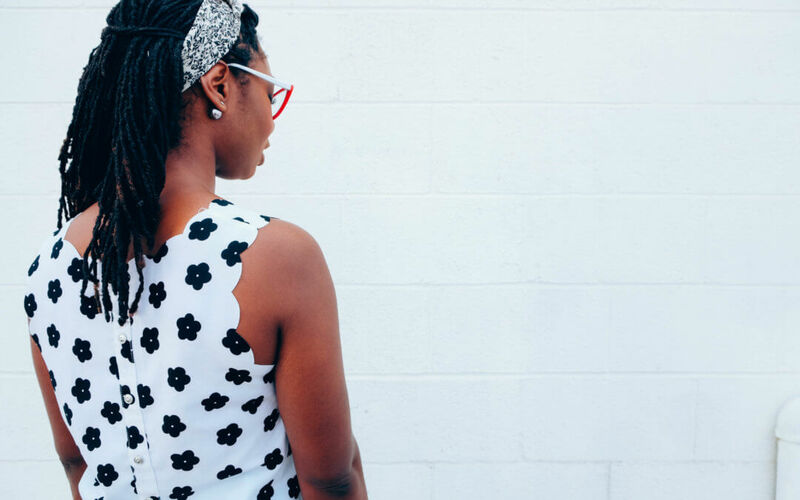 This may be a particular challenge for women as, often, girls and young woman are still not supported in identifying, naming, and asserting their boundaries. Here we walk you through some examples to support your own boundary-setting. What are some examples of places in a romantic relationship where a woman might need to set boundaries? There are many areas in a romantic relationship where a woman might need to set boundaries be they physical, emotional, time, or otherwise. One very common example that a lot of women experience early on may be a boundary in defining the relationship. Specifically, if a woman is not available for an open relationship or a lack of commitment after a certain amount of time and, for example, her boundary is committed monogamy after three months, this is a conversation she may need and want to have. Another example of a boundary may be the amount of time she is willing and able to give her partner versus investing that time into friends, family, and her own hobbies and pursuits. Again, if a woman realizes her time boundaries are being encroached on by the relationship or by her partner and she feels uncomfortable about this, she may need to have a conversation and set a boundary about how much time she is able to spend with her partner on any given week/weekend. For both of these scenarios, it’s critical that the woman become clear about where her boundaries actually lie. As obvious as this seems, not all of us are in touch with our boundaries, let alone our feelings. So getting in touch with your boundaries may take self-reflection, maybe paying attention to any uncomfortable feelings or body-based signals a woman has that contain clues about what it is she truly wants, or perhaps it will take dialogue with herself, her friends, or her therapist, anything to help her get clearer on what she actually needs and wants from the situation. And then, once she gets clear on her boundaries, she may need to have a conversation with her romantic partner to explain her feelings about the situation she’s facing, and to ask for what she needs and wants instead. What are the complications she might face? In setting boundaries with a romantic partner, as with attempting to set boundaries with nearly anyone, complications someone might face include self-doubt and resistance. Specifically, self-doubt that she even deserves, needs, or is worthy to set these boundaries and possible resistance from the other person who she is setting boundaries with. Facing and working through any lack of self-esteem is critical to being able to feel like we deserve to set boundaries. But then, just because we set boundaries and ask and advocate for our needs and wants doesn’t always mean our boundaries will be honored and met. This can feel hard for many of us and it can stop folks from advocating for their boundaries so they don’t have to risk rejection and disappointment. What are some examples of boundaries that need to be set up with family (e.g. parents/siblings & the like)?  There are many examples of setting boundaries with parents, siblings and family but two common ones we see here at Evergreen Counseling – particularly around the holidays – include setting boundaries around how often or available you are to spend holidays and time with your family and also how you’re treated during the holidays. Some women experience families wanting to spend every single holiday together (whether the adult child likes it or not!) and when they do get together, perhaps the way the adult child is treated doesn’t feel good to them. In one or in both of these cases, it’s important for the woman to, again, self-reflect and to understand what she is and is not available for in terms of which holidays she does or does not spend with her family, how long she’s willing to spend when she does go there, and to also reflect on why and how it doesn’t always feel good for her to do so. Then, usually, a conversation needs to happen with parents and siblings to reset expectations about what the adult woman is willing and able to do in terms of visiting or not, plus any additional requests she has about how she would like to be treated (for example, she would like her mother to stop bringing up her divorce and shaming her about it). These kinds of conversations are not necessarily easy, but I do think they are critical for healthy boundary setting with our families. What are some examples of boundaries that need to be set up with friends? There are many examples of boundaries we may need to set with friends, but a common one we see at Evergreen emerges when one friend has different financial boundaries than the other. For instance, when you have two girlfriends, one with a lot of disposable income and preferences for girls’ weekends away and fancy meals out, and another girlfriend who really enjoys spending time with her friend but who is on a stricter budget, often a need will arise for the friend who is on the stricter budget to set reasonable expectations with her other friend about what she can spend, how often they can go out together, and maybe negotiate finding low-cost or no-cost things to do together. Again, what’s the best way to go about setting boundaries with friends? Like with the above examples, self-reflection is key. You have to understand where and how you feel like your boundaries are being crossed by your friend and what you would like instead. And then you need to talk about it. Hopefully, your friendship is strong enough to tolerate you setting a boundary and having your own needs and wants and hopefully, your friend will be able to honor that. And finally, what about setting boundaries at work? What are the sorts of things that might need to be done? Boundaries at work are a complex issue. Often we have more latitude and ease setting boundaries with the personal relationships in our lives and can possibly feel more limited in setting boundaries in the workplace, particularly if there are power dynamics such as when dealing with bosses or supervisors, or expectations and assumptions about job duties and hours that will be worked. However, despite these complexities, for many of us we still often find that we have to set boundaries at work. Such as around advocating for a work-from-home day for yourself, advocating for a raise, or setting more reasonable assumptions about your availability to your boss (returning texts at 11:30 pm, for instance, may not be something you want to do…). In these cases at work, it’s important to have clear, cohesive and professional requests thought out for what you want to set a boundary around. For instance, if you want to set a boundary around your weekly work schedule and advocate for that work from-home-day you were promised in your job offer, be prepared to reference the terms of the job offer, and make plans and commitments to your boss that the work they may be concerned about not getting done will be done if you work from home, and keep your boundary setting professional and not personal. This – being prepared, professional and clear – can actually be great practice for boundary setting in your personal life as well. At the end of the day, boundary setting is one of the single most important psychological tasks we face: our lives are composed of boundaries be they physical, emotional, mental, logistical, etc..
Every day in many small ways we are challenged to reflect on and possibly assert our own individual boundaries. Learning the skill of doing this – self-reflecting and understanding where your boundaries lie as well as developing the courage and skills to advocate for your boundaries – is critical for healthy, functional lives as adults. If you believe you need some support around this, if boundary-setting does not come easily to you, we would love to support you with this. Please just reach out to us to schedule a complimentary 20-minute consult call with one of our wonderful therapists so we can get you the support you deserve.